And the Suzlyfe is back in action. I needed to have a little pity party and then tell them all (not) so kindly to please vacate the premises before I sic’ed Zoe on them. Because we ALL know that nobody has the time or the desire for that. I don’t think she could even stand it. Quick update: Sunday night, my calf actually hurt quite a bit (when I got up to use the facilities)–I think from the fact that I sleep on my stomach, and consequently my foot was plantar flexed (pointed) to quite an extreme the entire time. I don’t remember if I mentioned this, but for the most part my calf doesn’t hurt if my ankle is neutral–it hurts at the extremes of flexion/extension, especially when the muscle is then tensed. But I applied heat to it after I got up, and that seemed to help tremendously. So we shall play it by ear–I think my plan will be to introduce some eccentric calf exercise in later this week to strengthen in and get it used to the motion, try to get some good walking in (if it feels ok) to increase the load, and also to incorporate concentric hamstring exercises in order to actively strengthen the hammies, too. I’ll keep doing spin, try to get my patootie into the pool, and if I’m feeling up for it, do yoga on my own first, and maybe treat myself to a class over the weekend. 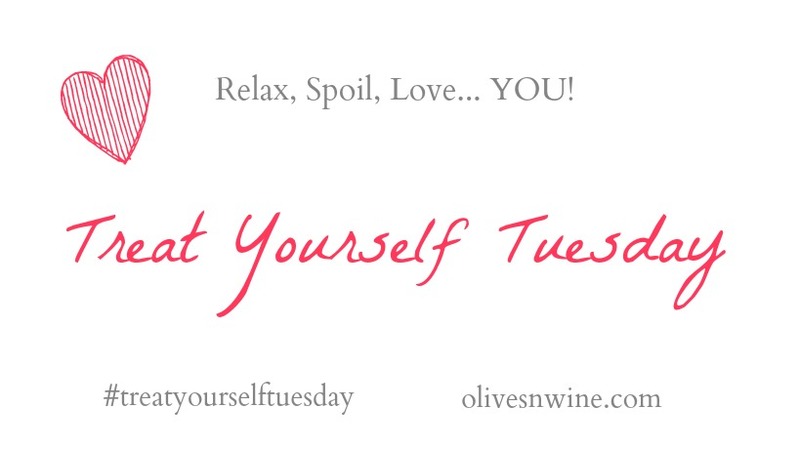 So, for the purpose of today! What a better time to discuss being treated than your birthday week 😀 COUGH TOMORROW COUGH Feel free to send me gifts. And or singing telegrams. I would laugh. If you noticed the title of my post, it will give you a hint to the vast majority of my birthday treats, haha. 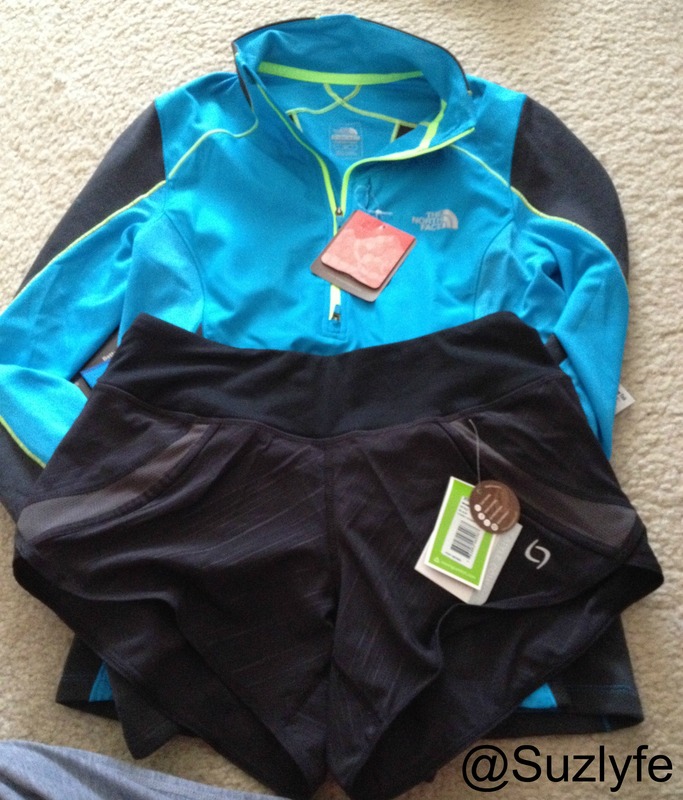 Running apparel and accoutrements that I (largely) don’t need but have to have! North Face techical shirt–It has a wind breaking layer as well as vents. Moving Comfort Shorts. I’m still stad that we didn’t get the 27.4 “I Got Lost” bumper sticker, though. 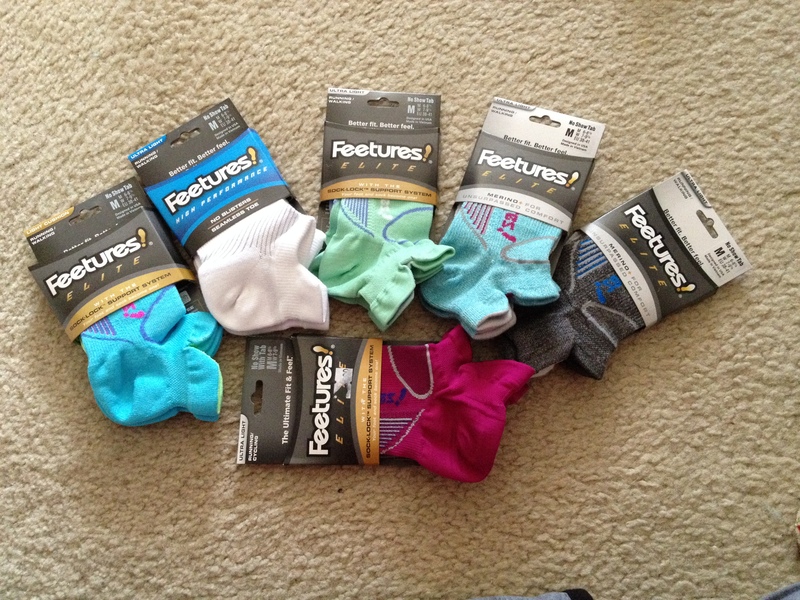 She also got me a crap ton of socks. And who can forget that she is sponsoring me for a little bit marathon later this year? I better be able to do it!!! Well, she completed her generosity to me this weekend, when she gave me permission to pick out some fun things at Athleta, where I had a good-sized coupon burning a hole in pocket. It was NOT easy making my decisions, let me tell you. I took quite a bit of time to wander the store, located out in Southport, an area I hadn’t been to yet. I was worried that I would get caught in traffic for the Cubs’ home opener, but luckily I had no problems. It just took a bit to get home because of normal traffic. ANNNNYYYYYhoooooo. Those of you who are friends (?) with me on Instagram have already seen some of these pics, but for argument’s sake, you can see them again. I’ve said it before, and I will say it again: My name is Susie, and I don’t do quiet. I ended up restraining myself to 2 new pairs of yoga pants–Chat capris and Plie leggings; one pair of running capris–Blossoms Be Free Knicker; one pair of shorts–Pulse short; and one top–the Recordbreaker tank. I really wanted to get some yoga pants, even though I won’t be in yoga class as much–hopefully these will inspire to keep up my practice on my own. I reallllly wanted the Amalfi Blue stripe capris that they are using for the marketing for this line, but they weren’t available in store yet, and I am not enough of a person that runs in capris to need to get 2 pairs of running capris. What I liked about the Blossoms Be Free Knickers is a) the color and b) the easily accessible pockets on the sides–perfect for when I start (hopefully) to do longer runs on less cooperative days. I am suuuupper pumped about the ridiculous shorts. How Suz are THOSE?? Yes, this is too much. Yes, I am spoiled rotten by my mom. But I also know that she loves me, and this is what makes me happy (running and fitness, not being spoiled). I take my ambassadorship with Swirlgear very seriously because I wholeheartedly believe in the product, the women behind the business, and the community that the brand represents. And I must stress how much I believe in the product. 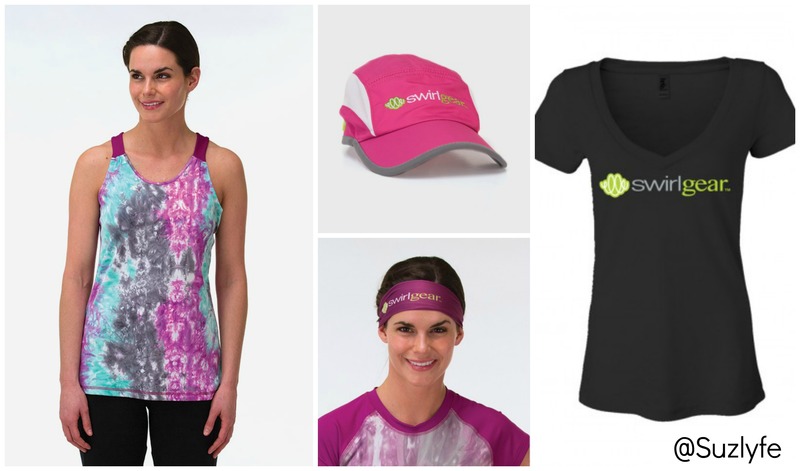 My sunny shirts are amazing–I love the material, the fit, and the performance of them. I have seen these pieces that I ordered in person, and I feel that they are worth the investment. And I feel that my future in fitness and health is also worth the investment. That is why I am working to become a personal trainer, and then (truly) these pieces will come in handy. Also? I basically only wear workout clothes now, so I might as well look freeeeeeekin awesome, yeah? And I got everything at 25% on account of coupons (we pay for Swirlgear pieces–another endorsement for how much I believe in this brand–these are not given to us). Thank you, thank you, thank you, to my family and especially my mom for these amazing gifts. You are too good to me, and I hope that I can pay that back in any small way by annoying the ever loving sh*t out of you on a regular basis. But seriously, thank you. The last bit of fitness equipment that was purchased was my own gift to myself: a knock-off BAPS board (because I don’t have $1000 laying around). Ankle mobility, here I come! I am such a #runnerd. The only other treats that we (being Alex and me) are anticipating are tickets to see his family in May and a nice, affordable dinner date night. Hooray for a refreshed wardrobe, and here’s to what I hope is the start of a healthier year of training from this point forward! What do you like to ask for for your birthday? 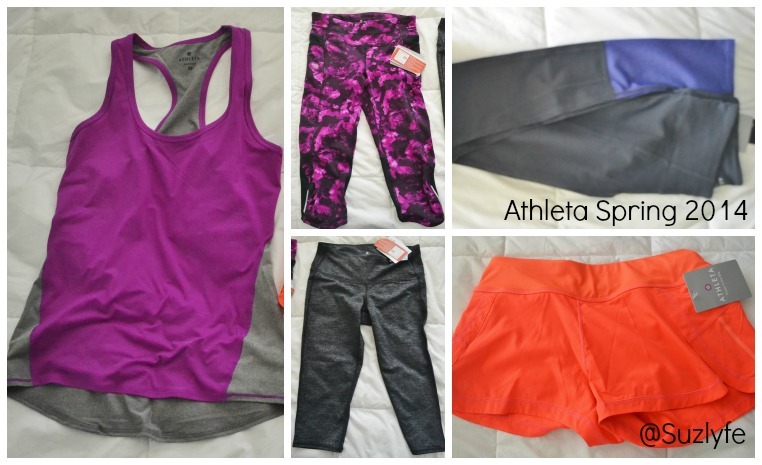 What was the last piece of sports clothing that you bought/were given that you ABSOLUTELY ADORE? 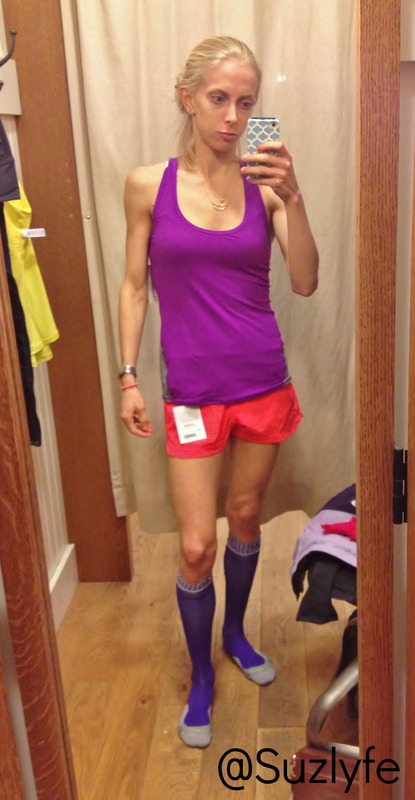 Do you like to run in capris or shorts? Have you ever seen or received a singing telegram? Or seen the movie Clue?